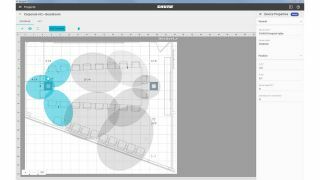 The What: At InfoComm, Shure debuted its Designer System Configuration Software. This desktop application for integrators and system designers was developed to make it easier to visualize and implement installations using multiple MXA910 Ceiling Array Microphones. The What Else: The Designer Software provides a way to organize MXA installations for multiple clients, buildings, and rooms. The software enables integrators to design systems offline, reducing configuration time onsite and letting integrators work more efficiently with customers. This software empowers designers to arrange multiple virtual MXA910s on top of an imported image, such as a room layout diagram. From here, the pickup lobes and other MXA910 settings can be configured and saved on the user’s computer, without being connected to any MXA910 hardware. Completed, these settings can be exported as device preset files, which are then imported into each MXA910 onsite. The Designer Software also offers system designers the ability to share project files with colleagues, so multiple points of input can be considered before final project considerations are made. The Bottom Line: The software enables users to create system configurations without being connected to the MXA910, and then import the desired coverage settings to the hardware onsite. This capability lets integrators more accurately predict the number of MXA910s necessary to cover a given meeting space and better arrange lobes to ensure maximum coverage for enhanced clarity and intelligibility. The Designer Software will be available for download in August 2017. It will be free to download and is available for any computer running Windows 7 and above.